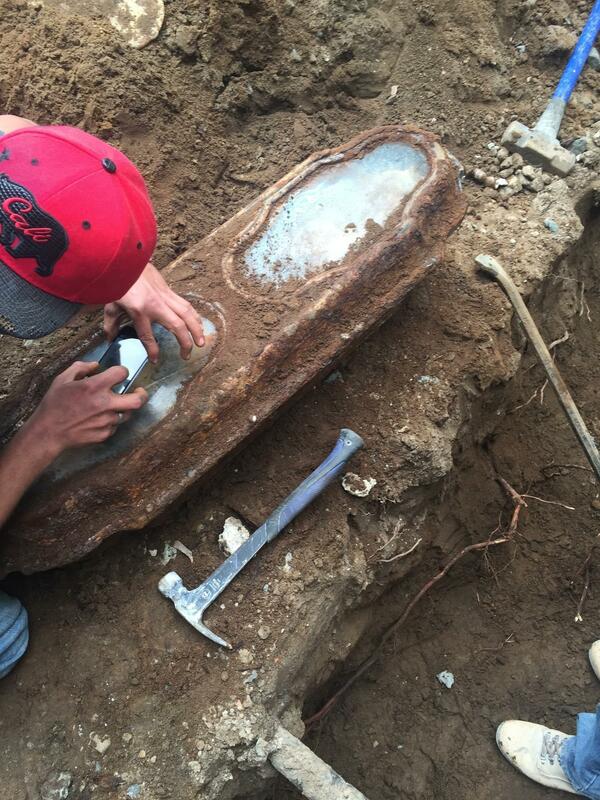 Last year, construction workers digging underneath a garage in San Francisco unearthed a child’s coffin. The bronze casket was three-and-a-half feet long and had two leaded glass windows, a popular design in the Victorian era for those who could afford it. Through the windows the well-preserved body of a little girl could be seen. She was wearing a white lace christening dress and ankle high shoes. She was also wearing a long necklace and holding a single flower which was at first believed to be a rose, but later found to be a purple nightshade flower. Little purple flowers had been woven into her hair and roses, baby’s breath and eucalyptus leaves were placed around her body. The find was poignant, but not surprising. The home is in the Richmond District, which in the 19th century was the site of multiple cemeteries. 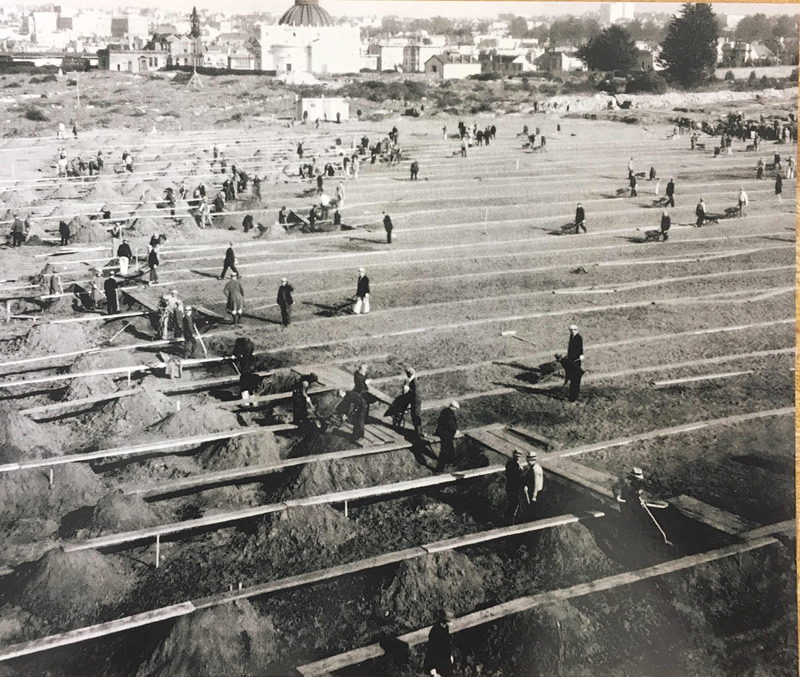 When the real estate value of the district outpaced its value as a (not so) eternal resting place in the early 20th century, San Francisco evicted the underground tenants from Richmond and almost every other cemetery within city limits, leaving only two cemeteries of 26 intact. The city claimed this mass exhumation was necessary to prevent the spread of disease, but nobody was fooled. The remains of about 300,000 people were exhumed and reburied south of the city in Colma, which a decade later would be officially founded by cemetery owners as a necropolis that would never be subject to the political considerations that had spurred the liquidation of San Francisco’s graveyards. The little girl was one of 26,000 people buried in the Odd Fellow’s Cemetery, most of whom were moved to Colma’s Greenlawn Memorial Park in around 1920. The medical examiner’s office examined the body in situ, but told homeowner Ericka Karner that it was entirely her responsibility to see to its disposition because the child was found on her property. 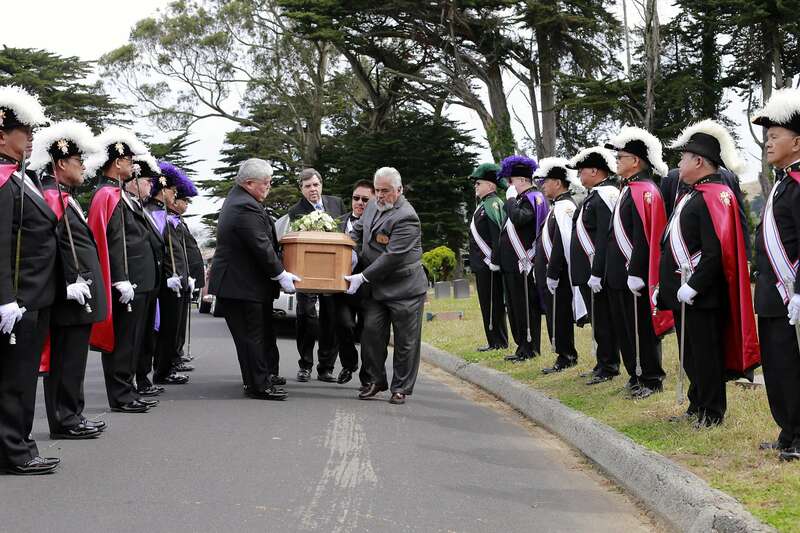 She looked into reburial options, but the most modest estimate was $7,000. The priciest quote was $22,000. Meanwhile, the casket had been unsealed during the examination and the remains of the child, whom she named Miranda Eve, were beginning to deteriorate. With the body of a little girl decaying in her backyard, Karner called City Hall. They wouldn’t take responsibility for the remains their predecessors had so half-assedly overlooked either, but they did put her in touch with the Garden of Innocence, a non-profit organization that arranges dignified burials for unknown or abandoned children. Elissa Davey, genealogist and founder of Garden of Innocence, raised money and arranged donations for the reburial. 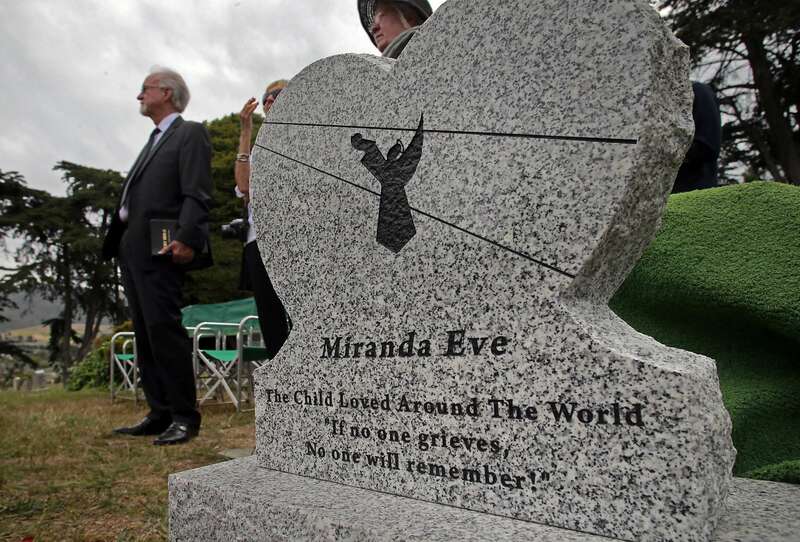 A month after she was found, Miranda Eve was reburied in a donated plot in Greenlawn Memorial Park. She was placed in her original bronze coffin, and it was placed inside a new wood casket inspired by the two-window design of the original. Davey didn’t stop there. She wanted to give Miranda Eve her identity back. The task was monumental. First they were able to discover the manufacturer of the coffin: N. Gray & Co. Undertakers. Then they found a map of the Old Fellow’s Cemetery which they compared with modern street and other maps to pinpoint the location of the burial. It took more than 1,000 hours of research and a year of assiduous work, but the Garden of Innocence team was finally able to discover Miranda Eve’s real name. She was Edith Howard Cook, daughter of Horatio Nelson and Edith Scooffy Cook, who died on October 13th, 1876, when she was less than two months short of her third birthday. Funeral home records show Edith died from marasmus, or severe undernourishment. It’s not clear what caused the illness, but in late 1800s urban living could have led to an infectious disease, the nonprofit said. Information released Tuesday reveals that Edith was born into two prominent families in the world of commerce and society. Her mother was born into a San Francisco pioneer family, as her father Peter Scooffy was an original member of the Society of California Pioneers. Horatio Cook and Edith Scooffy married in 1870 and baby Edith’s father tanned hides and manufactured leather belts. He also served as Consul for Greece. After her death at a young age, Edith’s parents had another daughter, Ethel Cook, who was declared by a Russian nobleman as the most beautiful woman in America, the nonprofit reported. Her identity was confirmed by DNA which was a match with the DNA of Edith’s grand-nephew Peter Cook. The headstone of “Miranda Eve” was left blank on the back so they could engrave her real name on it, should it ever be found. Now that it has, Edith Howard Cook will have her name on her headstone again. 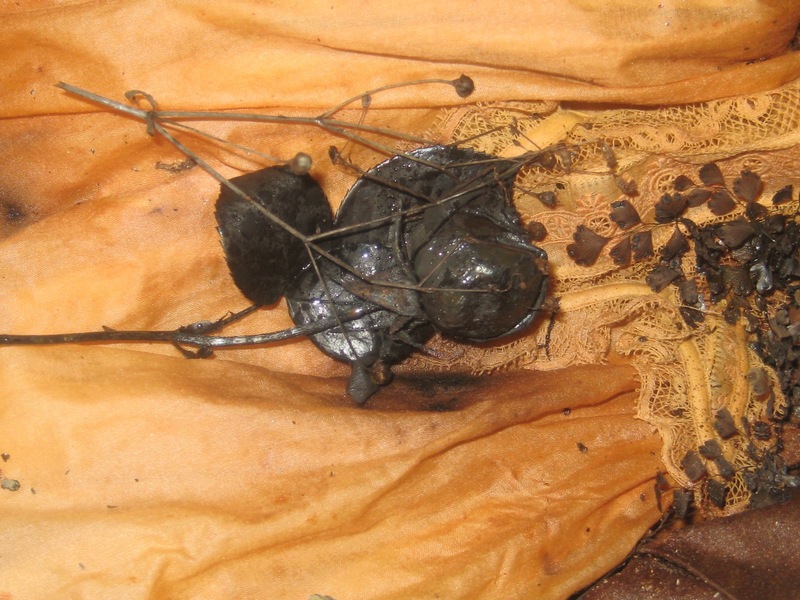 The Garden of Innocence website has uploaded a detailed report of the discovery, reburial and their exceptional research on their website.